Your request is being dealt with immediately. Thank You. An IMPORTANT and very personal message has been sent to you (from Aaron) at the email address you have just given us. It will arrive in about 10 minutes time. (If it hasn’t arrived, please check your Junk, Trash or SPAM box so that you don’t miss out on everything it says). 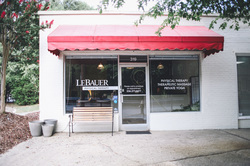 "When I first came to LeBauer PT I was in constant pain and getting desperate!. I had been working with another PT for three months and the shoulder problem that was keeping me off of my surfboard was only getting worse! 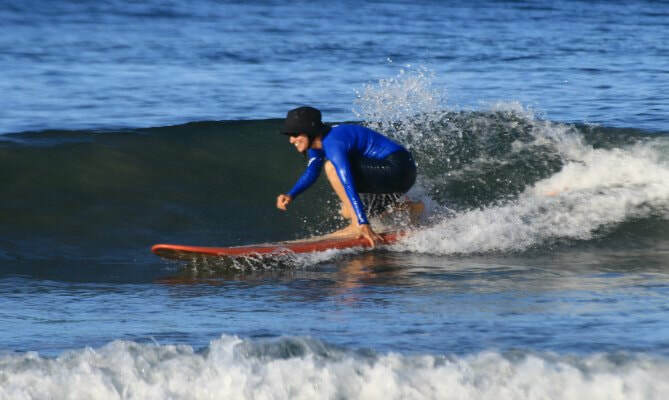 With only a few months remaining before I was scheduled to lead a three week surf-centered course in Costa Rica, I took the advice of a trusted coworker and went to see a physical therapist at LeBauer Physical Therapy. During the first visit my therapist explained the basic principles of his approach and how the treatment would progress. In the ensuing weeks, as I followed his advice, I learned to think differently about my particular injury. The more attentive I was to my physical therapist, the better my outcomes. If that weren't enough to recommend them, the myofascial release techniques they used brought me much welcomed relief! I surfed every day of the three weeks in Costa Rica. Since then, I continue to strengthen on my own with Dr. LeBauer's voice in my head." "Last Saturday I ran my seventh race this 2016 year. 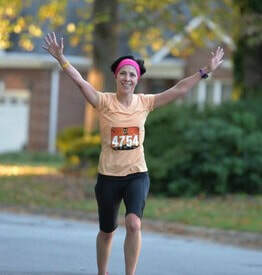 I’ve been awarded in each those races as a top female runner in my age category and twice I’ve been a top female overall . They not just found and treated the reason of my hip/knee problems but they changed my life by teaching me how to love and to take care my body. "Take care your body and your body will take care you."